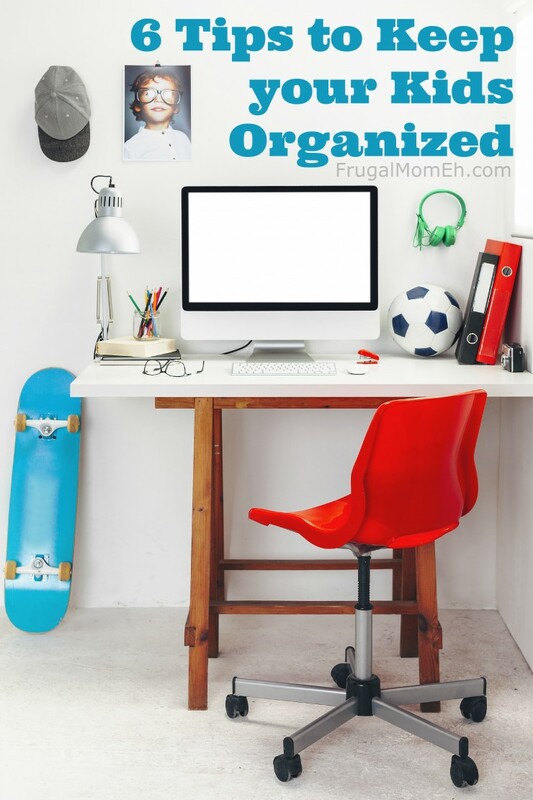 6 Tips to Keep your Kids Organized - Frugal Mom Eh! Good organizational skills can essentially lead to educational success. It is often said that an organized life is a happy life and this statement is quite true. If you live your life in a state of chaos, whether it be the mess in your home or missing certain appointments, you will begin to feel as if you have no control over your life. 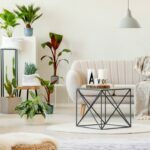 If you simply organize the clutter in your life, especially when it comes to organizing for educational purposes, you will not only learn faster, but you will feel as if you have control of your life. 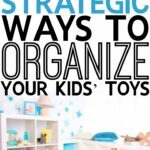 If you want to learn some ways to keep your kids organized so they can learn faster, here are some ways you can do so. 1. Keep A Clutter Free Study Space. Whether it be a desk, or whatever space you want to use for studying, make sure you find a specific studying place and keep it clutter free. When you have a clutter free study space, you will be able to think clearer and concentrate better when studying. Assign a specific spot for things like pens and paper, and you will be able to easily find the tools that enable you to study and learn. Hanging a calendar on your wall is a great way to stay organized. Use the calendar to mark off important dates so that you will always be aware of vital appointments and commitments. If you want to help yourself stay organized, use a calendar to remind you of the important things you need to do during the month. Each morning when you get up, make a to do list. While you’re sitting there enjoying your cup of coffee, reflect on the things you need to do that day. Whether it be attending a class, or making a trip to the library, write down a specific time for each of that day’s tasks. Be sure to put this list somewhere where you can easily look at it all day long. 4. Use Your Cell Phone. Almost every cell phone is able to keep track of important information you may need in your day to day life. Some phones even ring to remind you of important things you do not want to forget. Chances are, you always carry your cell phone with you and it can help remind you of special appointments. If you follow a certain routine during your day to day life, chances are you will become more organized. By doing specific things at a specific time on a specific day, you are keeping to a schedule that will be easy to remember, thus you will stay more organized. For example, try to study at the same time each day for a certain period of time, even if you do not have any schoolwork. Then, you will get used to doing this on a daily basis, therefore keeping you organized and on track. When you set obtainable goals for yourself, you are using organization to keep your life on track. In order to achieve a certain goal, whether it’s raising your grades or losing a few pounds, setting goals will cause you to organize your life better so to achieve these goals. By setting goals for yourself, you will be helping your life stay organized for faster learning.As you can see, it can be easy to organize your life to make it more conductive to faster learning if you just follow the 6 above listed tips. By setting goals, following a routine, making lists and reminders on calendars or cell phones, and getting rid of the clutter in your work space, you can help contribute to a way of life that is organized for faster learning. Pete Wise is a White-Hat SEO Jedi working with Action Agendas, whom create custom planners for students to use at school. Go to their website to see pricing and options for your student planner needs! Those are super great tips! I need to work on being more organized with my kids, especially the super clean work space. we have a small kitchen, so sometimes it gets cluttered, and the kitchen table is the only place we have for the kids to do their homework. But it’s also the only place I have to serve meals and do blog work too. I really need to work on that. We just made a total resolution to get organized this school year, it was a disaster last year! My weakness is the first one, keeping a clutter-free work area. We really have to work on that one! Thank you for the tips!! Great tips. The one that works for us is following a routine. I found if we deviate from it, it can cause havoc! Great tips! I’m a pretty organized person but my husband is not. I keep a very detailed calendar and it really helps us out. If I could de-clutter, I think my life would improve greatly. I also rely on my calendar, and found it is less stressful when I have things written right in front of me. Good tips. My house can be a wreck. I need an organizer. Thanks for the tips! I love the idea of having a regular time for studying; I think I’ll start this with my oldest son this year! Great tips, ones we try to use daily!